Brinson isn’t a new name to Christian Hip-Hop, but he’s not someone we’ve spent a lot of time covering here at the Sphere. With the release of his fourth album, we thought it was finally time to sit down with the Florida emcee and introduce him to our followers. Sit back & enjoy the conversation. You’re not a new artist, but most readers at Sphere might not be familiar with you. Can you tell us a bit about yourself? I’ve been in CHH for a hot minute. I opened up my label GodChaserz Entertainment back in 2006. Our label has put out over 20 projects. God has blessed me to be not the biggest artist in CHH but I have been one of the cats who has traveled the most in the game. I have 4 solo projects and it’s a lot. I should ask you LaRosa to tell’em about me. Yeah, man. We go way back. For me, you’re one of the most energy filled & hype cats in the game. Your passion for what you do is undeniable. That being said, what does a typical day in the life of Brinson look like? It’s never a dull moment. I have different seasons on my days. If it’s time to focus on an album that’s mainly what I’m doing the entire day. Going thru beats, talking to artists I wanna collab with, brainstorming with my circle. Other times, like right now, I’m on the promo grind. Since, my album just dropped a few weeks ago I’m talking to people all day about booking concerts, radio interviews, print magazines etc. It’s a never ending cycle and little by little it all gets done. God has been good to me dawg. In a day when a lot of artists want to shed the “Christian rapper” label you seem to wear it proudly and refuse to shy away from it. Why is that? Because I didn’t come into this wanting to do anything else. I knew how artists had a big impact on my life. Artists like Wu-Tang, Outkast, Onyx, NWA, Eminem and others made me want to do what they were rapping about. It wasn’t godly at all. If they were talking about smashing chicks I would sing the song all day and in the back of my mind I would be brainwashing myself to do what it said. Then I found myself doing those things. Hip-Hop & Rap is motivational music. You get motivated to do what the MC or master of ceremony advises you to do. So I choose to motivate people to chase God. Plus, everything these other guys are talking about I don’t agree with and it ain’t me. I’m like God bless them in their purpose but I gotta do me. I’m about souls. This art form didn’t save me. My talent is not gonna get me into heaven and I don’t want the guys coming up after me to think watering down the gospel is the best thing. It’s an option to do and God can bless it but it isn’t the best thing. Heaven is the goal of life. If the world is burning and the world of hip-hop is burning, who are the emcees that will take their talents and be the firemen on the mic? Also, many guys feel that they will be broke and poor if they rep the king, which isn’t true either. Any field that you desire to go into you have to study the in’s and out’s and find out your lane to prosper inside of it. What is impossible for God? So you just released your latest album “Until We Meet Again,” can you tell us a bit about the concept? How did this album come together? What did the creative process look like? Honestly, I was having the roughest year in my entire life making this album. My life was falling apart in every area. I didn’t feel like rapping, or hearing people’s opinion if they liked my music or not. I made this music in great pain. People I was cool with I wasn’t cool with anymore. I was super distant from my family. I was having health issues that all were stress related. It was a rough time for me. So the creative process was me saying to myself, “I Quit.” I quit trying to please people and I just made an album that I didn’t have the burden of this group of people will like it. I made it trying to please God and depend on him to pull me out of that season. Wow, that’s deep. I think your heart really shows in this album. Next question. If you could work with anyone in the industry that you haven’t already worked with, who would that be? I have never done a record with Theory Hazit, Eshon Burgandy, B. Reith, or This’l or anyone at Reach. I would love to do a track with Toby Mac. Just something totally different that I have never done. I know he has the resources and the team around him to make something like that come true. I would love to do a song with V. Rose and Jamie Grace as well. Here’s a good one for you. Not a lot of artists put a track on their albums anymore telling listeners how to be saved. Why do you still do it? Does it sometimes feel cliché to always have it at the end of your albums? It’s sad that there aren’t more people doing it. I never know where my albums end up. I get a messages all the time and when I’m in different parts of the country of people telling me that the prayer at the end is what got them going back to church. One guy said he says it everyday before he goes to school. My albums are in prisons, group homes, many places I never would have dreamed them to be. But God has a way to get His message to people. It’s all about the Great Commission man. Billy Graham had to start somewhere and tell somebody. The Word spreads however it can. I’m glad God gave me boldness enough to do it. People can say it’s corny but when we get to the other side we will know the value of it. You’ve been in the game for a while now. Who are some of the up & coming artists that are grabbing your attention these days? Any we should be listening to? Also Cstraight. A few young guys to look out for are Oatmeal, N8 music, Ark Offlicial, Big Fil, I got a big list of up and comers man. Last question, how much work does it take to maintain that beard? I have to admit I’m jealous. When I grow a beard I just look homeless. The funny thing about this beard is I started growing it as inspiration to complete my first album Escaping Me in ’08. I wasn’t going to get a haircut or shave until I completed that album. I had a fro and my facial hair was everywhere. I ended up after the album was done cutting the fro and leaving the beard. I just use baby shampoo to wash it LOL. That’s all nothing magical. Thanks for taking time to sit down with us. Anything you want to add before we sign off? Please support (buy) my new album “Until We Meet Again” on iTunes, Google Play, or Amazon. Please don’t stream it, streaming projects keeps kats in the projects LOL. I would like to thank Josh and the Sphere of Hip Hop team for their support on this album. This site has been doing good for years and I’m glad to finally get some time to share here. I never take these things for granted, I’m super grateful. 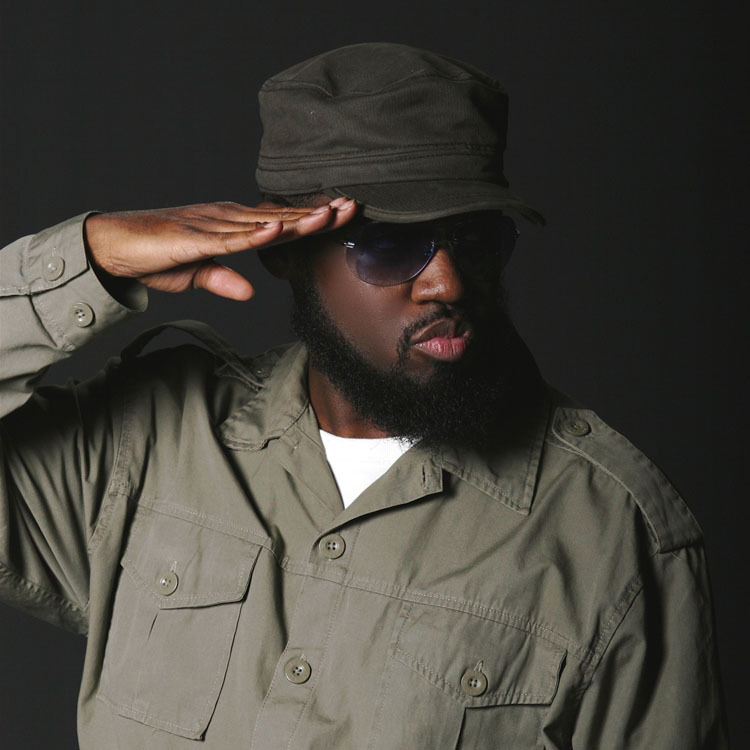 Follow me on Twitter @Brinson_OMG and Instagram @GodChaserz. IamBrinson.com Chase God ya’ll! Great interview, I like this guy. No fluff straight Jesus i’m going to check out this album right now.